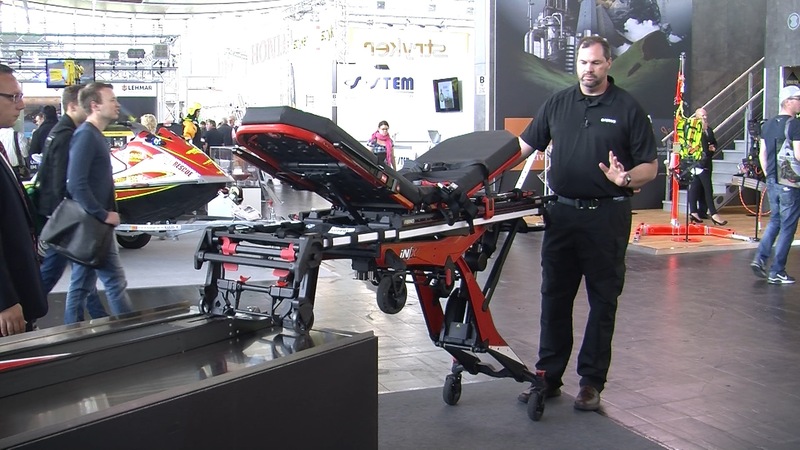 Ferno was one of the most interesting exhibitors at Interschutz 2015 with the new IN/X project, the first kind of electronic stretcher which have indipendent legs. This device was presented to Emergency Live by mr. Jim West, International Sales Director of Ferno Washington. The iN∫X system was created with extensive feedback from EMS professionals to protect you from the risk of injury at every step of the call, and make your job easier while enhancing delivery of care. Research has shown the most common cause of lifting oriented injuries, like what we see in EMS, is cumulative trauma; repetitive loading of the joints and spine which leads to tissue fatigue and eventual tissue failure . Preventing injury requires greatly reducing or eliminating repetitive loading forces. 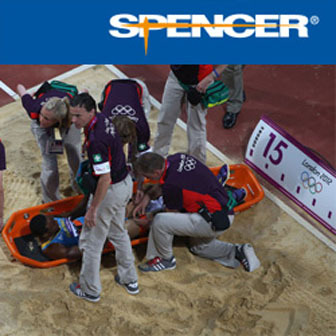 EMS specifi c research has shown that power cots reduce compression forces on the body when raising and lowering a patient , while other research has shown that implementing power cots across an agency reduces occupational injury rates and incidents from raising and lowering . This research also demonstrates reduced injury rates corresponding to lower workers compensation claims and lost work days.